Because the fiesta is here again in Lucena City, hubby, Vince and I went to carnival located at the back of pacific mall, Lucena City. 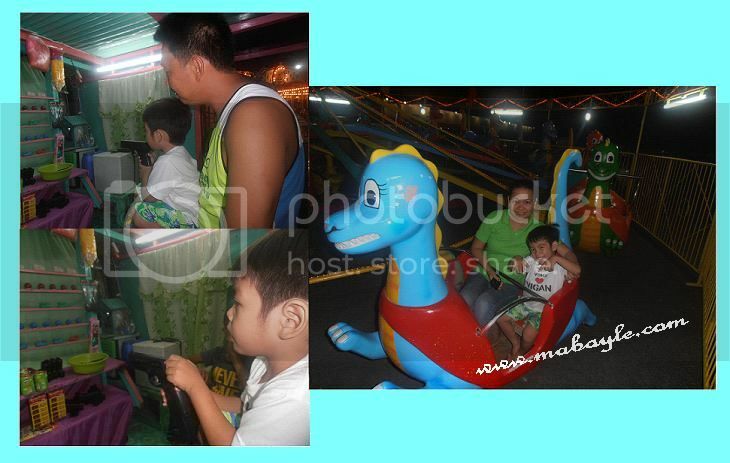 There are lot of different rides and they have entrance fee cost of 20 pesos each, Vince was really enjoyed to played the toy gun while my hubby was teaches him how to shoot the toy. After that, he saw the dinosaur rides and I also forgive him to ride with me and I also pay the entrance fee for 20 pesos also. Fun fun fun!